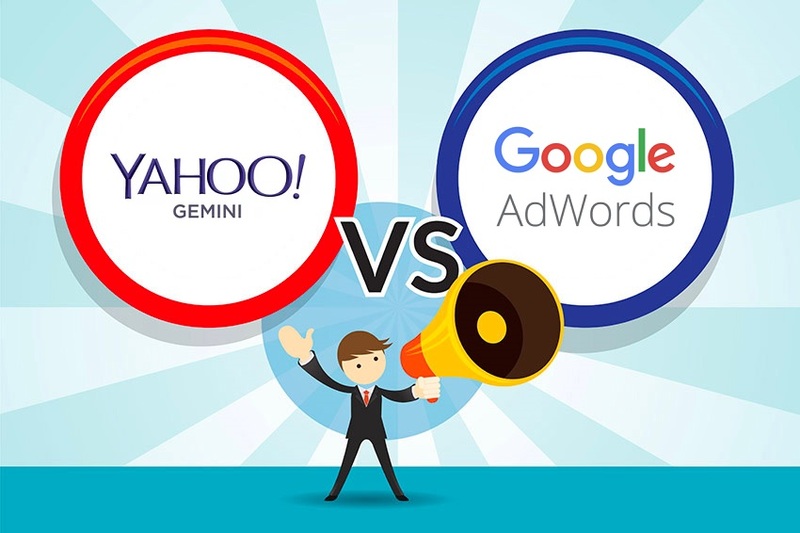 Whereas Google AdWords is the focal point for most digital marketer's strategy; Yahoo Gemini, launched in 2015, is fighting to rival Google's Goliath. But is it competing? The marketing method of Pay Per Click has firmly established itself as the most efficient and cost effective advertising tool on the internet in recent years which yields instant results with great control and flexibility. The ability to get to the top of the search rankings within a matter of minutes is impossible any other way, and by using the likes of Google AdWords or Yahoo Gemini this is can be achieved in just a few clicks. Google’s AdWords network has long been the juggernaut of the pay per click world. Launched in 2000, AdWords has evolved into Google’s main source of income making up 96% of their yearly revenue, a whopping $43.7bn, which generates nearly $100bn for their advertising customers in sales. Yahoo Gemini, on the other hand, is the new wide eyed baby trying to get accustomed to its new surroundings. Created in 2014, Gemini focuses its ads on the Yahoo mobile network, which is of course significantly lower than Google’s, but still has a 11% share of the internet’s mobile search traffic. We’ll compare and contrast the advantages and disadvantages of both networks so you can decide whether to progress with either Google, Yahoo, both, or neither! Google being the web behemoth, the bedrock of the internet, the King of the search engines, that it is, it won’t be of any surprise that Google’s search volume is enormous. Google recieves over 3.5 billion searches per day, and 89% of consumers use a search engine to find information on products or services before buying of which Google has nearly a 70% share of. If you’re working within an initially small budget, the opportunity to scale your campaigns when you find yourself with a very positive return on investment on the AdWords network is massive. Once things start going right with Google, there’s an incredible possibility for your business to really bloom. This is where Yahoo Gemini really does struggle, and with some businesses it won’t actually be feasible to advertise on the network due the absolute lack of searches that go through Yahoo – plus scaling up is almost an impossibility. It is literally pointless to compare it to AdWords, and from looking at the basic fact that Google owns more than 60% share of searches across the internet, it’s clear and obvious that Gemini doesn’t compete with Google here. However Yahoo does have over 800 million users per month, and 100 billion unique searches per year, so it’s not worth dismissing totally. This is where some people may struggle with Google, it can be expensive. Due to the search volume, and the amount of users vying to be top of the market; cost per clicks, and cost per conversions is sometimes pretty pricey. On Google, the average cost per click is $2.32 on the search network, and $0.58 on the display network – the Legal sector being the most expensive at $5.88, and Dating sector being the cheapest at $0.19. However, even though the average cost per click can be expensive, that doesn’t mean the results won’t be worthwhile. Businesses make on average of $2 for every $1 they spend on AdWords, so though the initial outlay may be steep, the rewards are very worthwhile. Now, this is where Gemini hits back. Due to the low search volume, and low competition on Gemini, the cost per click is insanely low. Insanely low. You’re likely to only pay a few pence per click on Yahoo Gemini, so that means if you get even one client or sale from Yahoo Gemini, the return on investment is likely to pretty hefty. As Yahoo Gemini gets more popular, which will definitely happen if the search volume does ever rise, the price of clicks will only go up, so it’s best to take advantage of those crazily cheap clicks now. Even though the search volume isn’t that great, you only pay per click, so there is definitely real potential to make Gemini an efficient platform for your business. Google generally has a younger audience than other search engines, and they’re generally more tech savvy. Google holds the majority market share in all but 4 countries in the world, and 50% of people who use Google are in the USA. On AdWords you can only target age and gender for search campaigns (and parental status for display campaigns), so there isn’t the best of choice when it comes to geotargeting with Google. Yahoo Gemini offers a demographic that is different to that of AdWords, and the majority of their audience is made up of: college graduates, people over the age of 35, more women than men, households with children, and households with incomes more than $75,000. Moreover, there is a strong contingent of people searching for telecom and auto industries who almost solely search on the Yahoo network. Gemini offers quite a wide scope of geotargeting too, where you can target audiences according to their: age, gender, location, along with interests from football to travel. This gives you real ability to target people who are likely to be interested in your product or services. Google, on the surface of it, look like they offer quite an impressive support team. There is a number you can ring, you are given a dedicated account manager if you spend a certain amount on the network, and they’re usually decent at responding to any questions or queries that you may have. However, you do need to be careful of how much free reign you give them. If you need help with the settings, tracking issues, terminology, then they will be very helpful. But if they start providing you with recommendations on how to improve your account you do need to be careful. There are tons of case studies on the internet about how a Google account manager has ‘improved’ their account, but ended up with negative results whilst spending more money. Our advice is to steer clear of personal account advice, but use them for everything else. Yahoo Gemini offer a decent support team which includes a dedicated account manager. When comparing them to Google, it has to be said their support is often better, and are more likely to go above and beyond even if you aren’t spending masses of money. Due to Yahoo Gemini being a fairly new player, and having fewer accounts on their network, they obviously have more time for them to accommodate you, and more willingness to do so too. It’s clear that Google AdWords is the big daddy of the pay per click world, and that’s almost solely down to search volume. The ability to hit masses of customers every single day in every single niche is something Yahoo Gemini cannot get near. However, it would be wrong to dismiss the prospect of utilising Gemini to get those extra clicks, and at a cheap price. Yahoo Gemini gives you the ability to reach additional customers, and because the cost per click is so low, there’s very little risk on your part of trying it out. It also doesn’t take long to set up a Gemini account from scratch, especially if you already have an AdWords account as you can just import it straight in, plus with Adzooma, you can manage both accounts from the same place like never before. If you’re new to both, you 100% need to get AdWords ticking over nicely. If you have an AdWords account that’s working efficiently and effectively, then we’d definitely advise you setting up a Gemini account to make the most out of your pay per click strategy.